So far, no Georgia appellate court has interpreted Georgia’s 2011 Restrictive Covenants Act (“Act”). But the federal courts have still made rulings on the Act. While each case is different and none of these cases are binding on courts in Georgia, we can learn from these federal rulings. Here are drafting lessons for your restrictive covenants—which typically include both non-solicitation provisions (“non-solicits”) and non-competition provisions (“non-compete”)—from recent decisions in Georgia federal court. You can probably include a vendor non-solicit that would bar a former employee from soliciting your vendors. If a non-solicit is limited to customers or vendors with whom the former employee had contact, you can probably draft the restrictive covenant to protect affiliated companies. You can probably include a notification provision that requires a former employee to notify you if one of your actual or prospective customers approaches the former employee to request products or services similar to those you have provided or would provide. You can probably include a ban on indirect solicitation that would bar a former employee from supervising people who call on your customers. You may be able to add a global ban on competition if you have customers and facilities located worldwide along with sales in multiple global regions. You should probably include a geographical area in your restrictive covenants, even though the Act allows a list of competitors. A good, general approach for a non-compete is to limit the scope of barred activities to (1) owning more than 5% of a competitive business; and (2) performing services for the competitive business that are similar to services performed for you. You probably cannot include a tolling provision that extends the period of the restrictive covenants indefinitely while the former employee is breaching them. You cannot draft an overbroad covenant and assume courts will limit or modify it. If you leave a territory out of a non-compete, do not expect the court to add one in. You probably cannot include a ban in a non-solicit on all communication with your customers by a former employee. If your non-compete bars competition by a former employee, whatever capacity or job the employee has with a competitor, you may not be able to enforce your non-compete. 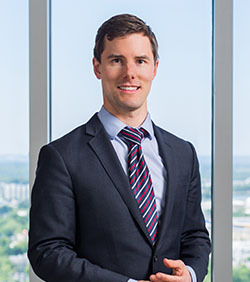 Perhaps the biggest dos from the cases are (1) require a former employee to notify you if approached by one of your actual or prospective customers; (2) include a warranty in your restrictive covenant agreements that doing a similar job at a competing company will require using your confidential information. Perhaps the biggest don’ts from the cases are (1) relying on a list of competitors instead of putting in a geographical area; (2) drafting a non-compete that bars an employee from doing things not done for your company in places your company never did business; and (3) drafting a non-solicit clause that bars an employee from contacting customers he or she never dealt with and expecting the court to modify the clause if the court finds it too broad. To sum up, relatively few clear rules exist in the world of restrictive covenants. What is reasonable usually determines whether a non-compete or non-solicit is enforceable. While some standards exist, a non-compete or non-solicit must have reasonable language and be reasonable when applied to an employee’s specific circumstances. Naturally, each case heavily depends on its own facts. Interra Int’l, LLC v. Al Khafaji, No. 1:16-CV-1523-MHC, 2017 WL 4866266 (N.D. Ga. Mar. 21, 2017). Interra Int’l, 2017 WL 4866266. Novelis Corp. v. Smith, No. 1:16-CV-1557-ODE, 2017 WL 1745635 (N.D. Ga. Mar. 10, 2017). Novelis Corp., 2017 WL 1745635. Novelis Corp., 2017 WL 1745635, at *3. ID Tech., LLC v. Hamilton, No. 1:14-CV-00594-TWT, 2014 WL 12703272, at *1 (N.D. Ga. Mar. 24, 2014). Cellairis Franchise, Inc. v. Duarte, No. 2:15-CV-00101-WCO, 2015 WL 6517487, at *3 (N.D. Ga. Oct. 21, 2015). LifeBrite Labs., LLC v. Cooksey, No. 1:15-CV-4309-TWT, 2016 WL 7840217 (N.D. Ga. Dec. 9, 2016); Pedowitz Grp., LLC v. Ogden, No. 1:13-CV-00839-RLV, 2013 WL 11319834 (N.D. Ga. Nov. 29, 2013). ID Tech., LLC, 2014 WL 12703272.